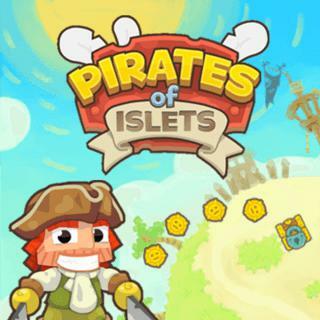 Play Pirates Of Islets and more New Games Games on Games1.com! ARGH! Pirates of Islets is a fantastic pirate adventure. Jump with Captain P' from islet to islet and carry off coins, power-ups and treasure chests filled with gold. Collect as many as possible on your way to the highest score and unlock new characters, power-ups and a new map. Prove your skills and show us a real pirate.